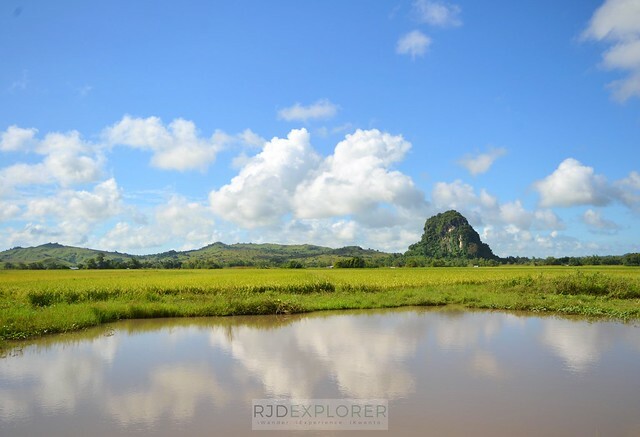 Masbate was a travel goal when I was based in Cebu due to its proximity to the province. However, flight route to the Rodeo Capital from the queen city of the south was put off and taking the overnight ferry is a hassle. Until I went back to Manila and snatched a direct flight to the province. Before anything else, this Masbate itinerary only focuses on Masbate Island, where the capital of the province, Masbate City, seats. Burias and Ticao might be the islands heard most when it comes to tourism in Masbate. You have the famous Catandayagan Falls in Ticao Island and the Burias Group of Islands a destination on its own. This made me realized what Masbate Island, being the largest component island of Masbate, can offer when it comes to tourism. 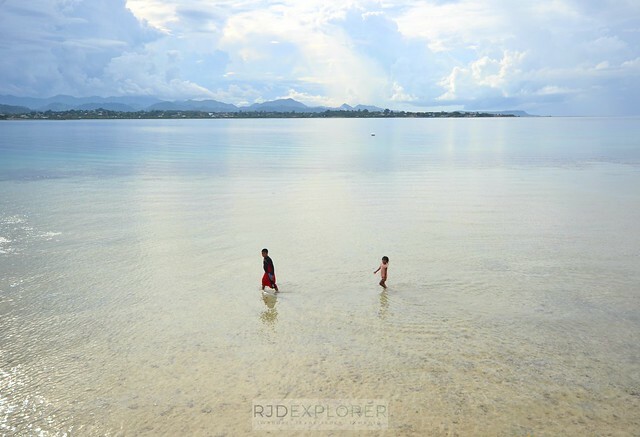 To find out, I maximized my 2-day stay in exploring Masbate Island. 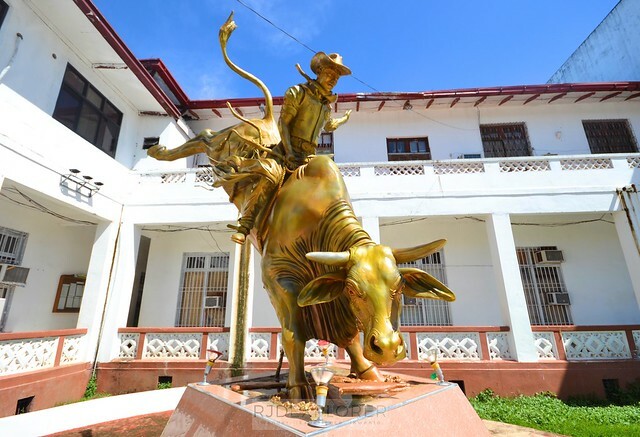 Masbate City, on the other hand, is the rodeo capital of the country. Unfortunately, my visit didn’t coincide with the festivities. So move on to the tourist destinations. 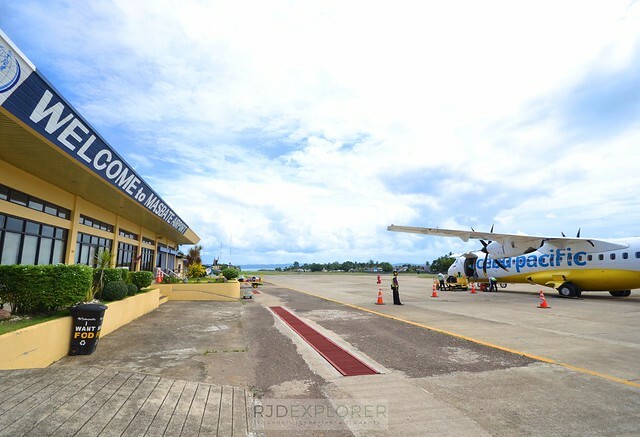 Arrive at the sunny Masbate Airport and head straight to your accommodation. Tricycle from the airport to the city proper is PHP10 but you need to pay for all the seats if you’re alone. If your hotel is near the airport, walking is a cheaper alternative. After dropping your stuff at your accommodation, time to explore the city and look for a place to have lunch. Masbate City’s food options are plainly simple; you can find silog houses on Quezon Street, the main avenue of the city. One of the famous places to grab the famous tapsilog is Kaykay’s Sinangag. 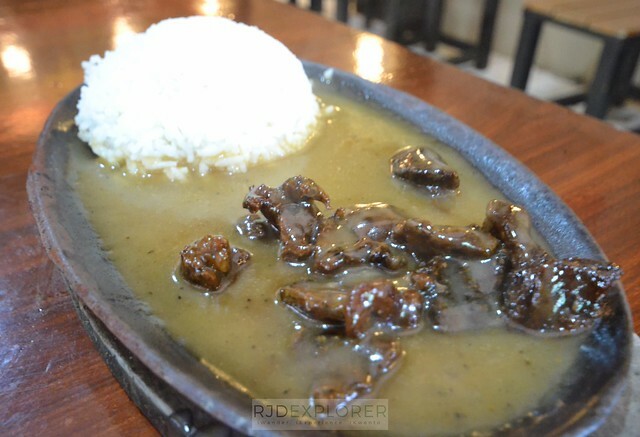 Though it’s known for its tapsilog, I decided to get a hot bowl of beef lauya (beef stew) and steamed rice. For PHP80, I was so full on my first meal in the city. Php80 brunch at Kaykay’s Sinangag. Back to the hotel to prepare for the Buntod Reef Marine Sanctuary tour. Most Masbateños will instruct you to go to Rendezvous Resort for boats going to Buntod Reef. But it’s better to proceed to Tugbugan because the tourism center has a docking area for boats. I went to Rendezvous Resort and needed to walk on knee-deep seawater for about 100 meters because water is too shallow for the boat. Fan room at GV Hotel Masbate. Php600 per night. With it’s proximity to the mainland, you can visit Buntod Reef Marine Sanctuary any time of the day. You can go directly to Tugbugan for the waiting area for boats going to the mangrove sanctuary. Boat rates are Php500 for 1-4 persons and Php800 for a maximum of 14. The rate is already good for a roundtrip trip to and fro the island. For the tourism to properly monitor tourist arrival, everyone visiting the island is required to register with a minimal fee of Php20. The fee is also used by the local organization, that manages the island, for the sustainability efforts on the island. Boat to Buntod Reef Marine Sanctuary. 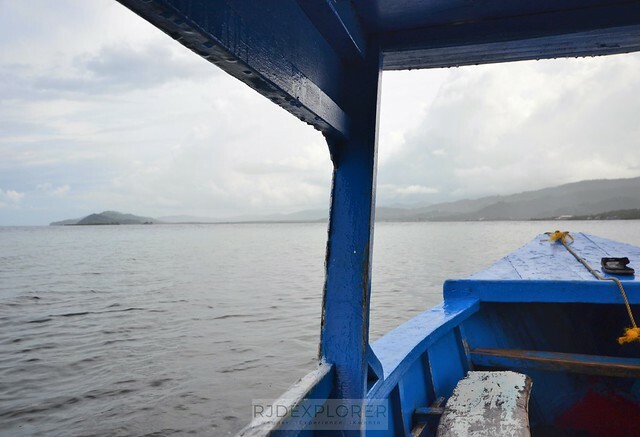 Php500 for 1-4 persons, roundtrip boat ride. The sandbar is up most time of the day so you can enjoy the breathtaking view on your visit. There’s a stilt cottage on the sandbar where guests can take shelter from the brisk heat of the sun. 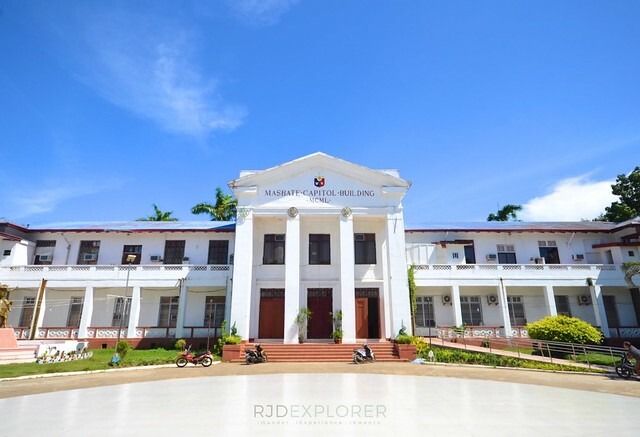 The local organization also offers different activities like island hopping to Ticao Island, kayaking, and diving; and renting gears such as snorkel and masks. I spent the entire afternoon on the island and left with a German family back to the mainland after the sun went down. Other travelers spend the night on the island but please make sure to bring all necessities like food, water, and insect repellants. 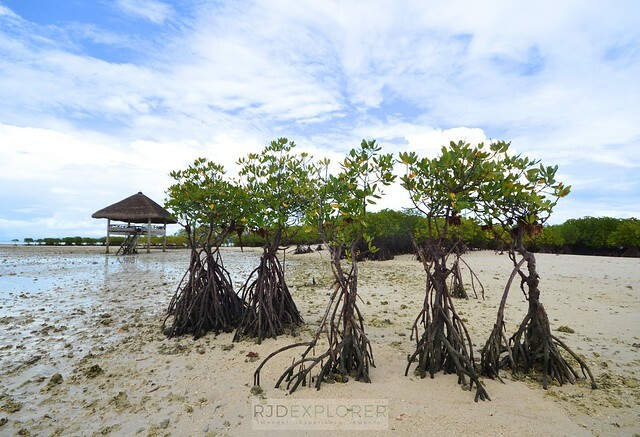 Mangroves on Buntod Reef Marine Sanctuary. 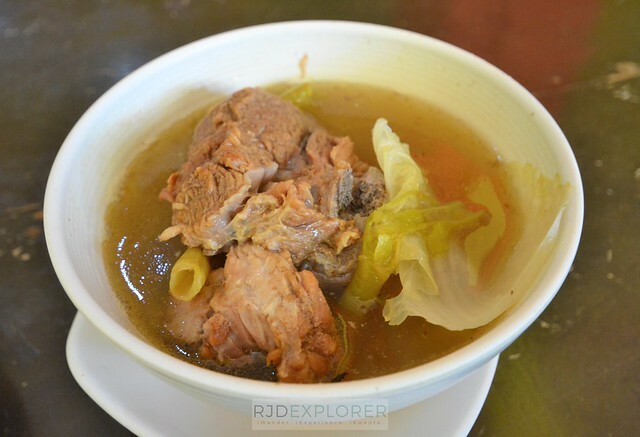 Masbate has few key players when it comes to dining. And SuTuKil is one of the restaurants being flocked by locals and travelers to have their seafood cravings fixed. One of the walls of the restaurant showcases all celebrities who’ve been to the place, making it a legit place for seafood. SuTuKil means sugba (grilled), tula (stew) and kilawin (ceviche). Most of the food are served in hefty plates making it great for sharing. Meanwhile, they have rice meals and I remember having a sizzling tanigue in coconut milk. 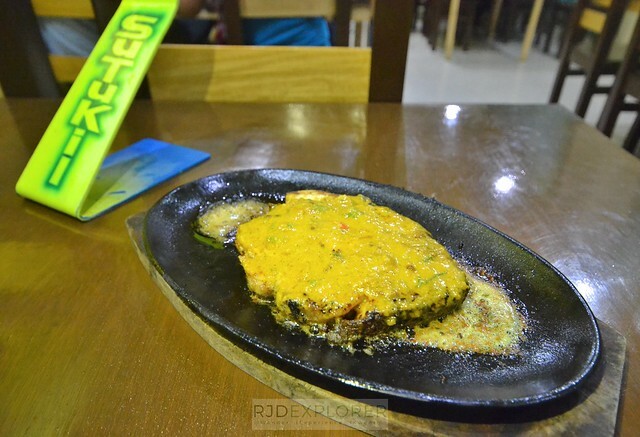 Sizzling na tanigue sa gata at SuTuKil. If you’re planning to visit the towns of Mandaon, Milagros, and Balud, you need to be up as early as 6 AM. 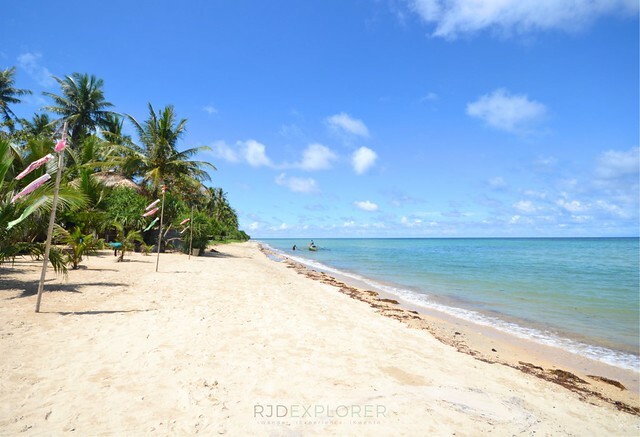 Balud, the farthest among the three, is around 70 kilometers from Masbate City. Wear sunblock because you will stay under the sun for most of the time during the day. With the assistance of an officer from the provincial tourism office, I was able to get a habal-habal driver for my tour. Whole day rate is PHP1,200. After a long drive, we reached our first destination, in the town of Mandaon, Bat-ongan Cave. Bat-ongan Cave is a limestone monolith in the middle of green fields. The cave is within a private property but the local government of Mandaon is now working to manage the preservation of the attraction. Upon registration, tourists will be offered with ATV ride activity that will allow travelers to go around the cave and to Bat-ongan Falls. I didn’t avail the ride but visited the interiors of the dome cave where tons of bats take shelter. It’s just disheartening to see lots of vandals on the cave walls. As per my guide, on top of the cave is a cockpit arena and a cemetery where some burial jars were found in the past. The limestone monolith is the Bat-ongan Cave. Fazenda de Esperanza is a farm somewhere along Balud Road. The 260-hectare land is used for farming and milk processing. Tourists visit the place to learn more about farming, gardening, piggery, and cattle rearing. It’s a perfect place for solitude because of its quietness and relaxing ambience. In fact, the place also serves as a drug and alcohol rehabilitation center. The rehabilitation process indulges the participants to be busy with farm works for them to get away from the temptations. Farm of Hope, Fazenda Esperanza’s chapel. In addition, Fazenda de Esperanza also helps the community by venturing into the cattle industry with their involvement in dairy production. If you’re lucky, you can witness the daily collection of milk from the cows. The farm also has its own processing plant with flavored-milk and cheese products as their produce. 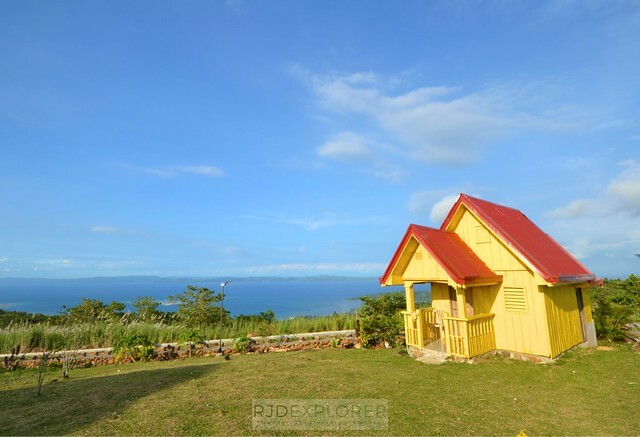 Another long drive to the west tip of Masbate Island brings you to the municipality of Balud. Palani Beach is one of the destinations here and you can spend the entire afternoon lazing on the beach front huts of several resorts. Don’t forget to bring swimwear just in case you intend to enjoy a dip in the ocean. Palani Beach in Balud, Masbate. 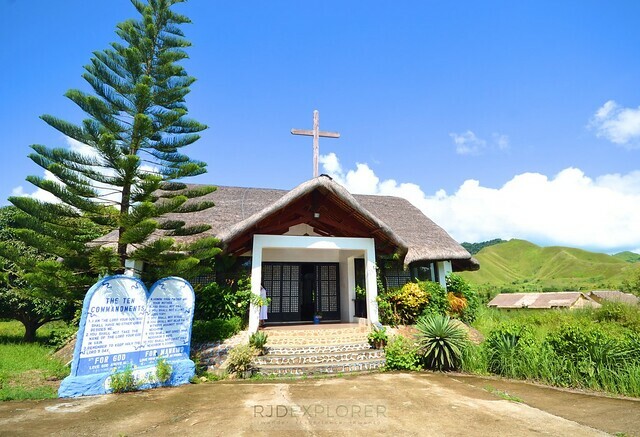 Balud to Masbate City is a long drive and be sure to have your lunch fixed at Balud town proper before embarking on a motorbike ride back to Masbate City. On your drive to the city, you can drop by at some Carmelado stores selling freshly made pastillas. There are several stores and you can always ask your guide to pick one for you. One of the largest ranches in the entire Masbate Island, as per my guide, is Sese Brahman’s. The ranch is open for tourists without any admission fee. Feel like a haciendero monitoring the vast lands and cows sprawling around the farm. Back to the city, now time to check what Masbate City has to offer when it comes to tourism. The capital is famous for the Rodeo Festival happening every April. What if your visit doesn’t coincide with the festivities? 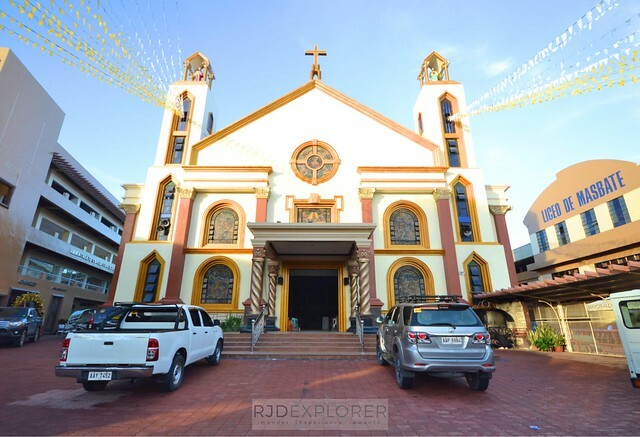 You can still roam around the city and visit key attractions like the Cathedral-Parish of Saint Anthony of Padua, the Rodeo Monument in front of Masbate Provincial Capitol Building, and Mangrovetum a park with wooden walkways around mangroves. Cathedral-Parish of Saint Anthony of Padua. Rodeo monument in front of the capitol building. 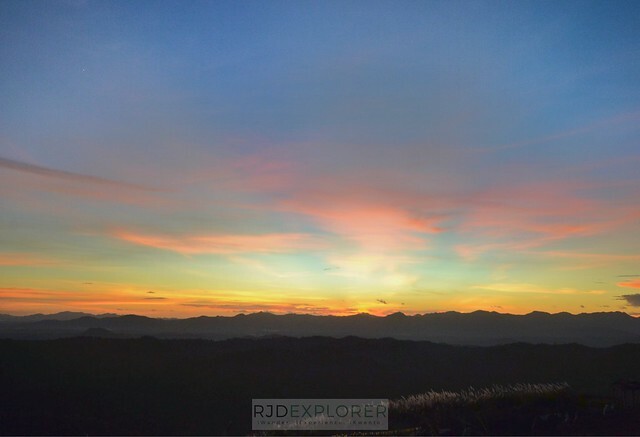 Don’t ever skip Mayong Payong Peak on your visit to Masbate City. 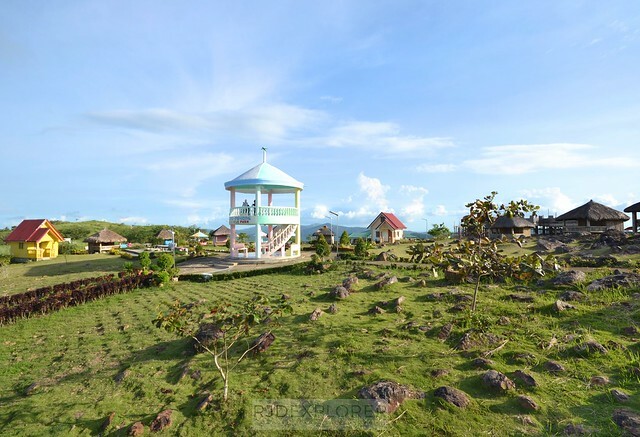 It’s actually part of the town of Mobo, around 20 minutes by habal-habal from Masbate City. From the highway, you need to transfer on a different version of habal-habal for your epic and bumpy ride to the peak. The roads are unpaved and super steep that rain can actually make the roads worse. But the view from the peak is really worth it and captivating. Buntod Reef Marine Sanctuary can be seen from the peak as well as the vast lands of Masbate Island. 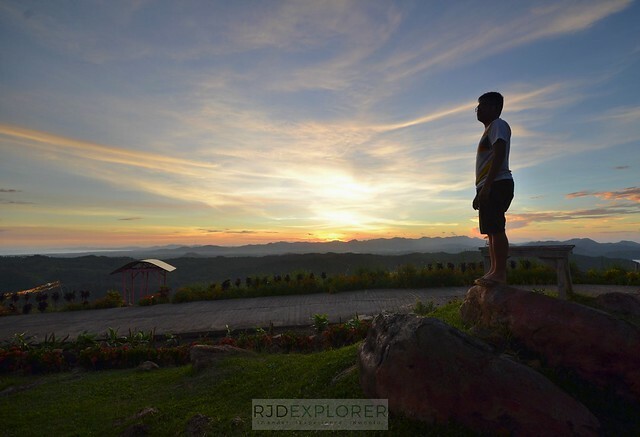 I stayed in Mayong Payong until sunset, lazing and napping in one of the huts. The cold breeze and an acoustic music on your phone will surely take you to a slumber. Spectacle sunset view on Mayong Payong. The attraction has several nipa huts they rent for overnight stays, unfortunately, I already booked my entire stay at GV Hotel Masbate. Overnight rate is even cheaper at Php300 per person but facilities are basic; no fan (bring insect repellant) and no shower areas. Light posts have solar panels so I believe there’s still light during the night. For dinner, Ham’s Cup along Ibañez Street is a possible option. This is the coziest place (as per locals) to have coffee, light snacks, or rice meals in the city. I ordered hot and spicy tuna pasta (Php70), baked chicken (Php110), and banana berry shake (Php70). Tuna on the pasta tastes like the leading canned tuna in your grocery store. 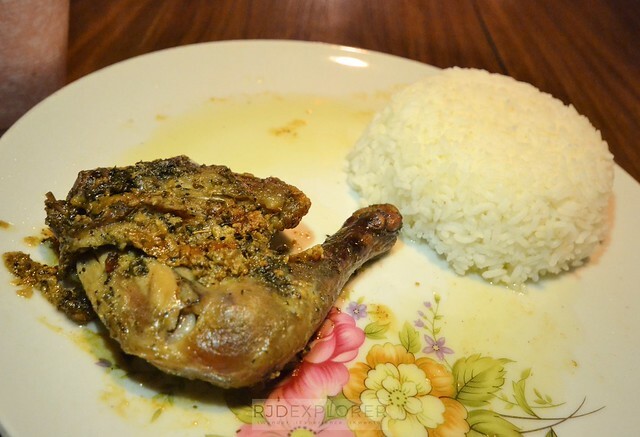 Nevertheless, apart from the chicken being tough, I enjoyed my meal since it’s very affordable, and there’s not much option to dine near my hotel. Ham’s Cup Cafe’s baked chicken. Two days in Masbate Island is enough to explore the destinations that are still unharmed from commercial tourism. During these visits, all I saw were locals enjoying the beauty of their own province. If you have more days to spare, island hopping to tourist attractions in Ticao Island such as the Catandayagan Falls, Halea Nature Park, and Burubancaso Rock Formation is definitely a must activity. Burias Island is another component of the province worth exploring. Breakfast at Tio Jose before heading to the airport. We almost have the same itinerary in Masbate! This guide is very helpful for a trip Masbate Island! 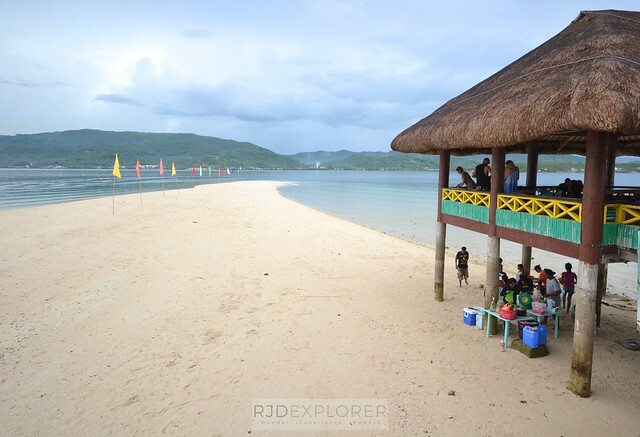 Hi, is Masbate safe for female solo traveller? Planning to go there on April and most likely will follow this itinerary. Thanks for this post! Hi, is Masbate safe for solo female traveler? I will visit the place on April and most likely will follow your itinerary.